Chainlink jewelry took the spring runways by storm––gracing the necks and wrists of dozens of models, so now it only seems appropriate that Instagram is following suit. My explore page is covered in images of influencers wearing the trend, which leads me to question––will chainlink be the new gold hoop trend? 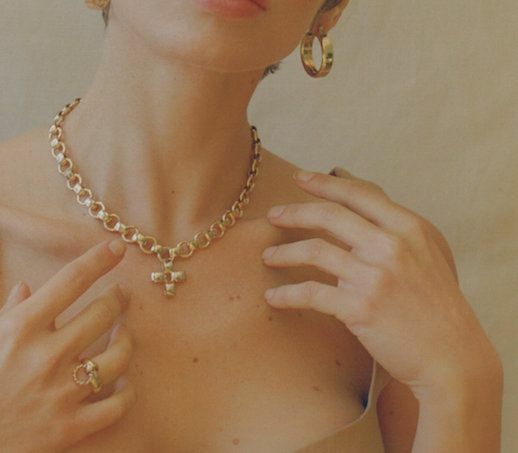 Whether you want to go bold with a chunky gold chain or keep things minimal with a dainty variation, we've rounded up the coolest pieces at every price. Shop below!